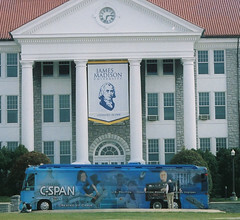 The C-SPAN Bus was on campus Tuesday. The tech inside was pretty cool. They are traveling around to campuses trying to get college students interested in C-Span and citizenship.